Shutterbugs, scribes and those gathered at the 'Kumki' audio launch were in for a super big surprise as the Superstar Rajinikanth was the Surprise Guest at the audio launch of the film! Although it was known that Kamal Haasan and Suriya will unveil the audio, Rajini's arrival was maintained a secret until the last minute. "I am avoiding most of the functions as all my fans and those from the film fraternity are important for me and if I come for one and don't for another it will not be right and I haven't yet completely recovered from my sickness, so I prefer taking rest whenever I can", started off the Superstar. People at 'Kumki' audio launch faced a surprise when Superstar Rajinikanth turned out to be the guest at the do. "However Prabhu came home and left an invitation even after expressing I won't be able to make it, when I telephoned and asked him why he did that despite knowing I wont be able to come, he said that as a thambi (younger brother) its his duty to invite me and its upto me to make it or not. 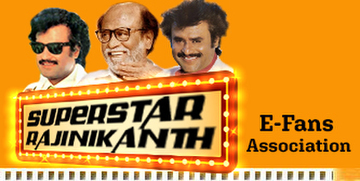 I understood of how important it is for me to make it for Sivaji's grandson's launch film's audio release", said Rajini. He further added, "When you receive too much of anything in life, you don't know how to give back, its better to avoid taking debt than wondering how to give it back. He was all praises for his dear friend Kamal Haasan and how he has made Tamil cinema proud by being approached by Hollywood filmmaker, read Barrie Osborne. Kamal in turn praised Vikram Prabhu for making his debut through Kumki, where he has worked with an elephant (considered auspicious) and assured that although there's a lot of pressure on him since he hails from Sivaji Ganesan's family, the film industry will stand by him. The Kumki audio launch was one of the best in recent times with the big guns of industry making it to the event and hailing the film and the stars wholeheartedly. Also present at the event were Karthi and Sathyaraj apart from the cast and crew.